Pre-field ministry preparation gets the ball rolling in the right direction, but once you are in your place of ministry and jumping into real-time cross-cultural life and ministry, you’re going to want some help keeping that ball moving! 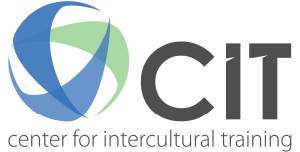 CIT Next is the ongoing development ministry of Center for Intercultural Training. Our mission is to help on-field cross-cultural workers be healthy and maximize their ministry fruitfulness through purposeful, continual learning. On-demand articles, audios, videos and other resources that can be accessed by you for free right at the moment of your learning need. Online courses which give you the opportunity to join a group of fellow-learners and together work on a specific topic under the guidance of a facilitator for several days or weeks. We’re ready and waiting and would be thrilled to serve you as you engage in ongoing learning to enhance cross-cultural ministry effectiveness.